Custom Vinyl Banners Are Here! Vinyl banners can be used in many different ways. They are a great way to advertise a grand opening, a new and upcoming sale, an opening of a new location. You can use them to showcase that you are ready to enjoy a happy retirement with a banner in the backyard with friends and family. They are perfect for whatever message you are trying to get across, and the best part about vinyl banners is that they are inexpensive and that they stand out. That means you can advertise your message without spending a fortune, and this is what we specialize in. If you are unsure of the design you require for your vinyl banner, our design team will help you come up with the best design so that the message you are advertising is straight and to the point. We specialize in designing banners that target an assortment of different advertising campaigns. Vinyl banners are one of the best ways to get your message across in an inexpensive way. Contact us today so we can help you spread your message or promote your sale! It’s Almost Time For New Color Brochures! Now is a good time of year when you should be planning your marketing strategy. Once Spring hits, business tends to pick up, so it’s better to be prepared than waiting until the last minute. That is where we come into play. Our designers will help you with the artwork for your color brochures so that your message is thoughtful and grabs the attention of your potential customers. It is endless on what you can do with your color brochure design. You also have a couple different options on how you can have them folded. The most popular fold is tri-fold, although you can also do bi-fold brochures. It is pretty much up to your preference. Having a strategic game plan is the first step to being successful, and that is why we are here. Click here to check out all of our available color brochure options, and we will be more than happy to help you get prepared to have a successful year and take your business to the next level. Looking To Print Custom Calenders For The New Year? The new year is going to be here before you know it, and you will soon have to be replacing your 2012 calendars. So, why not print custom calendars for yourself or your company? They are also perfect for fund raisers or marketing events to help promote your business or services. We can do everything from full color photographs that you provide us, or we can design custom pictures for you. Every month of the year will feature a different picture, and we can also mark special days of the year for you so you don’t forget them. You should also keep in mind that we have a wide selection of different types of paper you can use. High-gloss is typically what is used for calendars, but maybe you want your calendar to stand out and have something else in mind. Just let us know and we will be happy to help you! Advertising with flyers is very popular in various activities (or in different types of activities). You should consider printing full color flyers because it is one of the best ways of advertising your company’s products. People often pay attention to something new, bright, well-decorated and colorful. It is very convenient to advertise goods and services, as well as to invite customers to an event with the help of full color flyers. Flyers are used in restaurants, cinemas, theaters, clubs, bars, etc. Professionally designed and printed on specialized equipment full color flyers can be a great addition to any of the company advertising. We’ll make full color flyers as quickly as possible and at the highest level. Full color printing is one of the most affordable and convenient methods for the production of multi-colored advertising images of any size. The quality of the products manufactured on our equipment corresponds to the high requirements of the full color printing. There is digital and offset printing equipment in our Online Printing Company. With the help of full color printing we produce vivid color products such as business cards online, full color flyers, color brochures, etc. Full color printing is particularly relevant in the creating of corporate graphic products, as it is very important to get your message across to your future clients or customers the right way. We are also able to help you along with the design in case you aren’t quite sure what you are looking for. They are also very cost effective, so you don’t have to worry about spending an arm and leg on getting something that has the high-quality look you are in need of. There is an assortment of different types of paper you can use also, and if you check Artstract you will find beautiful and amazing art work to print as gifts for any ocassion and in any of our paper materials and designs. Whether it is a high-gloss look you want, or just some standard paper for a take-out menu, we have what you are looking for. Contact us today and let us help you get your business started off on the right foot! Starting A New Business? Try Color Brochures! 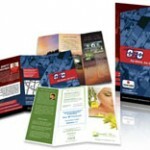 If you are in need of an idea on how to get your business’ name out there, color brochures are the way to go. There is an infinite amount of designs you have to choose from, and you can customize them any way imaginable. We are also able to help you along with the design in case you aren’t quite sure what you are looking for. They are also very cost effective, so you don’t have to worry about spending an arm and leg on getting something that has the high-quality look you are in need of. There is an assortment of different types of paper you can use also. Whether it is a high-gloss look you want, or just some standard paper for a take-out menu, we have what you are looking for. Contact us today and let us help you get your business started off on the right foot! Christmas Discounts On Raised Print Business Cards And More! The Christmas season is finally here, and that is why we are now offering special prices on several of our popular printing options we offer. Be sure to browse around because you will find that we have lowered our prices on raised print business cards, full color flyers, and even color brochures. Just don’t hesitate to order because this is a limited time offer only, and you don’t want to miss out on keeping a little extra cash in your pocket so that you can get a few extra Christmas gifts this year. If you are a business just starting out, then this is one of the best options you have to jump start your customer base. Don’t forget we also do custom website and graphic design, so be sure to check out all of our services available while you’re at it. Happy holidays from HiColor Graphics!